Now that I’ve got all the talk about my wedding out of my system, I feel like I can officially say goodbye to summer (one of the best of my lives!) and move on to fall. Goodbye peonies and flowy coral dresses, hello pumpkins and pinecones! The weather here in the northeast has been exceptional, sunny but crisp and perfect for strolling. It’s been idyllic and I’ve really enjoyed observing the changes in color and energy of the city. And even if you’re not really paying attention to the change in seasons quite yet, I can bet that if you live in New York, Starbucks is making sure you don’t miss it. They’ve been advertising their beloved PSL like crazy and with a Starbucks on every corner, it’s hard to ignore! I’ve seen variations of this cupcake all over, and I decided to finally try one out and I’m so glad I did. Although I don’t love the pumpkin spice latte in drink form (something about the orange color throws me off), the combination of espresso and pumpkin here topped with fresh whipped cream is undeniably good! I took a shortcut with these and decided to use a boxed mix as a base. I don’t like all the unpronounceable ingredients you’ll see on the side of the box, but every now and then I’m happy to cheat a bit and skip starting from scratch. 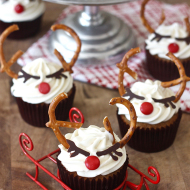 And the fact that the frosting on these is just sweetened whipped cream makes them even easier! I’m not pumpkin-obsessed like a lot of people I know, but these really surprised me. I loved them! These cupcakes taught me that I might like pumpkin more than I let on and that I really, really love whipped cream for frosting. 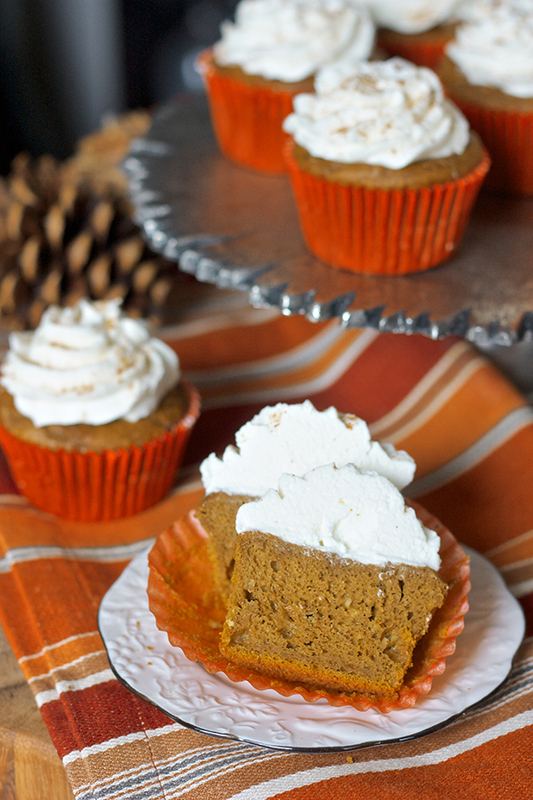 It’s so light and fluffy, just a tad sweet, without overpowering the taste of the cupcake. Plus it pipes like a dream and with a sprinkle of pumpkin pie spice, looks just like a fresh latte. 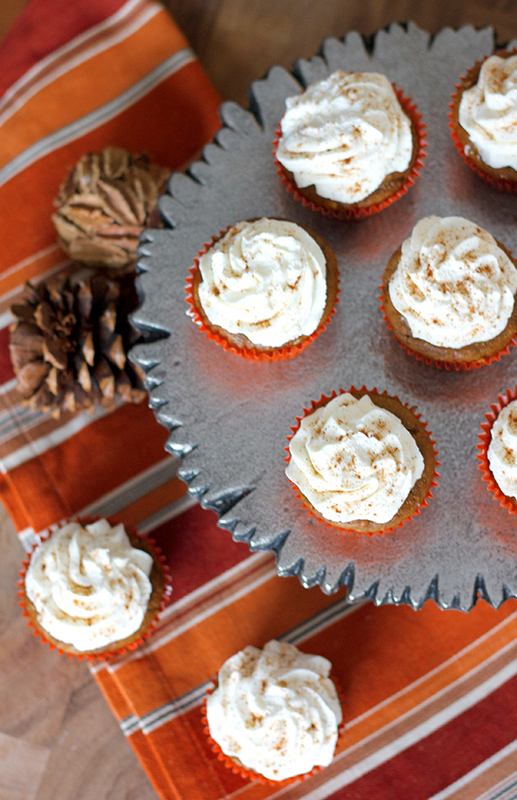 Served in orange cupcake liners they’re the perfect way to welcome October and all things pumpkin. I rarely make cupcakes and frosting all at once – usually it’s baking the cupcakes one night and frosting and decorating the next. But for these, I did everything in one weeknight and had them ready to go for a co-resident’s birthday the next day without a problem. There’s not always time to plan out elaborate recipes during our busy weeks, and it’s nice to have recipes like this every now and then that can be put together quickly and easily. But everyone was still quite impressed and enjoyed them as if I had labored for days :) Unpronounceable ingredients and all, they were very, very yummy and I will definitely make them again! 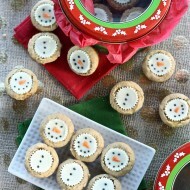 Heat oven to 350°F and line muffin tins with 24 regular-size cupcake liners. In a small bowl, stir together the water and espresso powder until dissolved. In the bowl of an electric mixer, beat cake mix, pumpkin, water/espresso mixture, oil, eggs and pumpkin pie spice with electric mixer on low speed 30 seconds, then on medium speed 2 minutes, scraping bowl occasionally. Divide batter evenly among muffin cups so that each is about two-thirds full. Bake 19 to 24 minutes or until cake tester comes out clean. 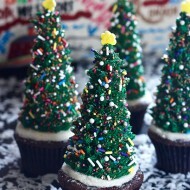 Brush coffee on the tops of each cupcake while still warm. Cool in pans 10 minute then transfer to a wire rack to cool completely. Add the heavy cream to the bowl of a stand mixer fitted with the whisk attachment. Beat the cream while gradually increasing the speed to medium-high, and then add the sugar a little at a time until stiff peaks form. 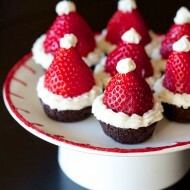 Transfer the whipped cream to a pastry bag fitted with a decorative tip and pipe onto the cooled cupcakes. Sprinkle with pumpkin pie spice. 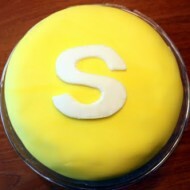 S is for Scott…and Skittles! 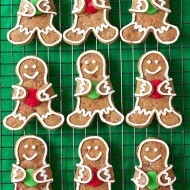 These look lovely and sound delicious. I’m not a big fan of Starbuck’s PSL – it always tastes weird to me, but I love the sound of these cupcakes! Sometimes I feel like I’m the only person left in the world who has not tried the PSL at Starbucks! 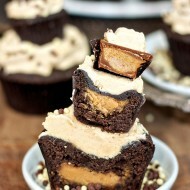 Even so, these cupcakes look/sound amazing. I’m not a big fan of the PSL either. 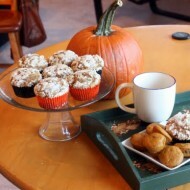 But these look like the perfect treat for an autumn day! 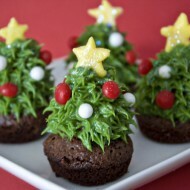 These look really good but I was wondering about the frosting. Every time I’ve made whipped cream frosting, I’ve used recipes that call for gelatin and I was wondering how yours held up without it? 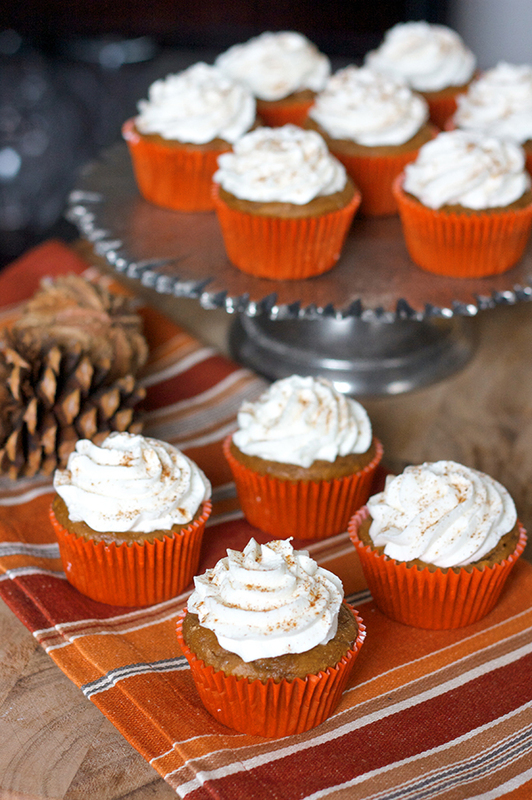 These look wonderful….makes it really feel, and now, taste like fall. I love the light whipping cream icing. These were a HUGE hit for the desert with Thanksgiving dinner… I added some fresh cranberry sauce to the whipped cream topping and it added just a little bit of zest and Thanksgiving day taste to it… definately will make these again!! Thank you..